We are so happy to be able to offer these First Edition exclusives ( on the connoisseur garden page)from our friend of so many years, world-renowned lily hybridizerJohan Mak, Sr. Each is the first release--in very limited quantities--of his newest and most interesting Oriental hybrids, selected by Johan himself. Johan was recently presented with the E.H. Wilson Award, the highest award given by the North American Lily Society, for his four decades of superlative and original lily breeding and indeed all he has done to promote and advance lilies all over the world! 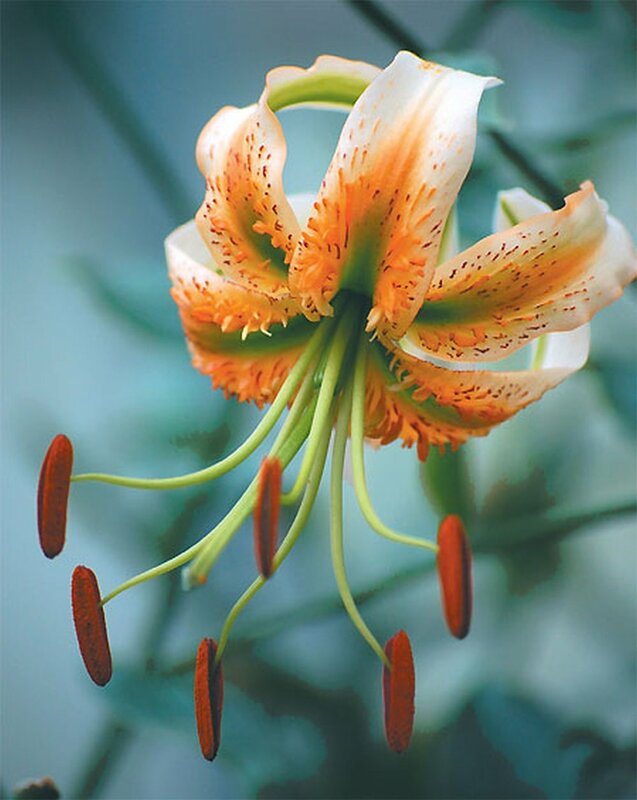 Our grateful thanks to him and to Ria, who have brought such beauty and delight to the world of lilies for all these years--and still are pioneering in lily breeding today!